Once you know that Black Hills provides some of the 223 and 5.56 rounds for the United States Military, you won't want to buy from anyone else. With these 223 Rem rounds from Black Hills, you have some of the most accurate, reliable, and effective AR-15 rounds you will ever find. 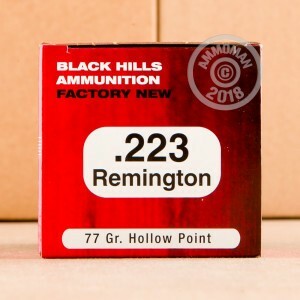 Since 1964 when it came out, the 223 Rem has come a long way, and is now one of the most popular military and civilian rounds in the world, and these are from Black Hills. You won't find a better deal anywhere. 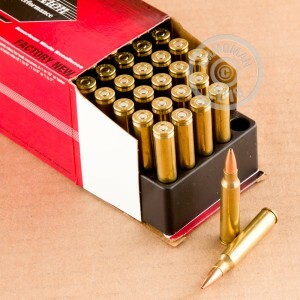 Get ready for some range training and match shooting action when you pick up these beautiful, superbly accurate rounds. 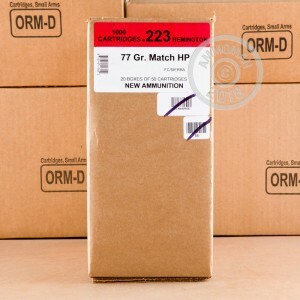 With 77 gran, hollow point, 223 Rem ammunition, you are set for a fantastic time of precise blasting away.